we've got two of our favorite go-to cocktails for you today. these are so refreshing and perfect for all kinds of summer fun!! pour equal parts vodka and sanpellegrino (all flavors are awesome) into a glass. 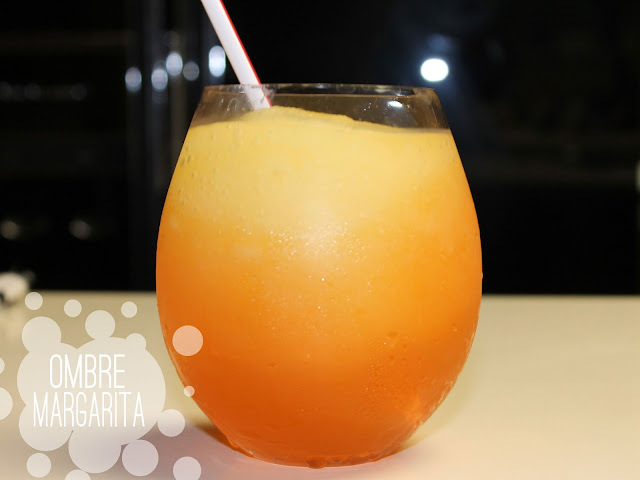 blend ice with jose cuervo margarita mix and pour into a glass. fill about half way. then blend ice with peach vodka, lime juice, and simple syrup. pour peach mixture on top of the mango mixture to create an ombre look!